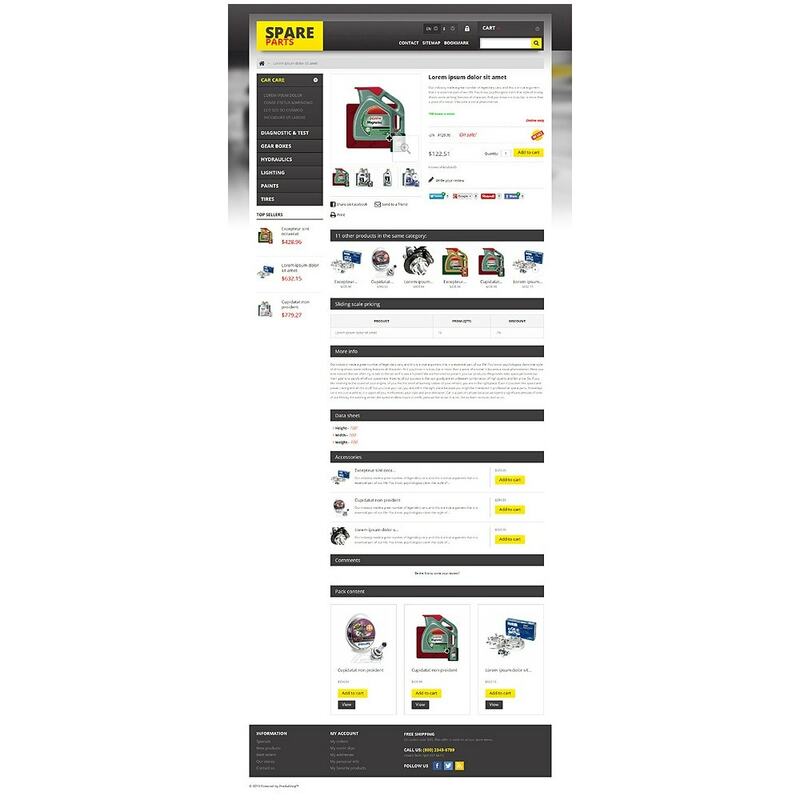 Black and white layout is a zero-risk option if you want your store look classy and expensive. 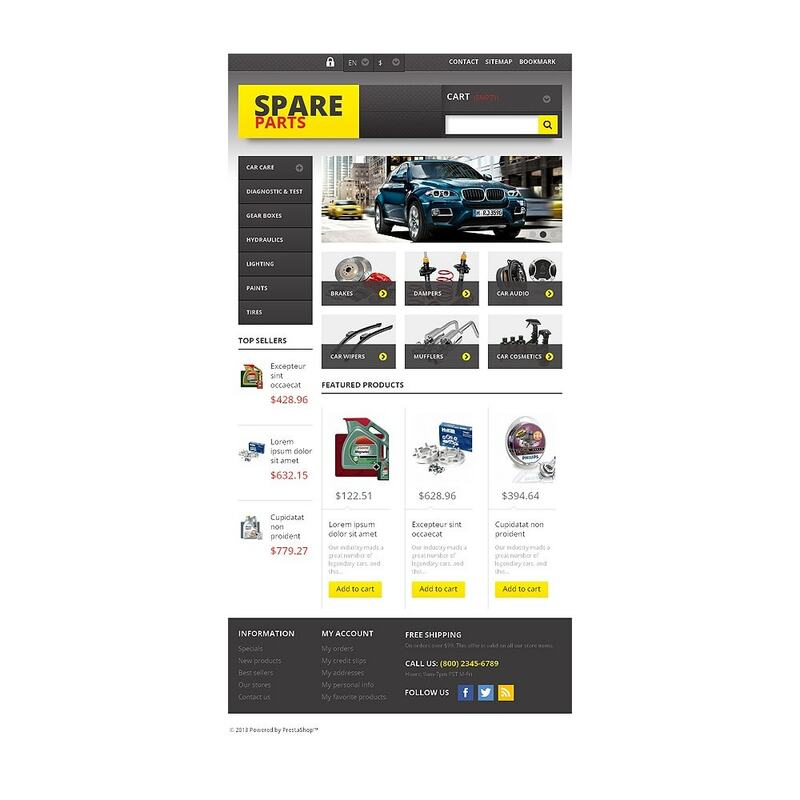 Bright yellow elements guide visitor's eyes through the page making clear accents at the right places. 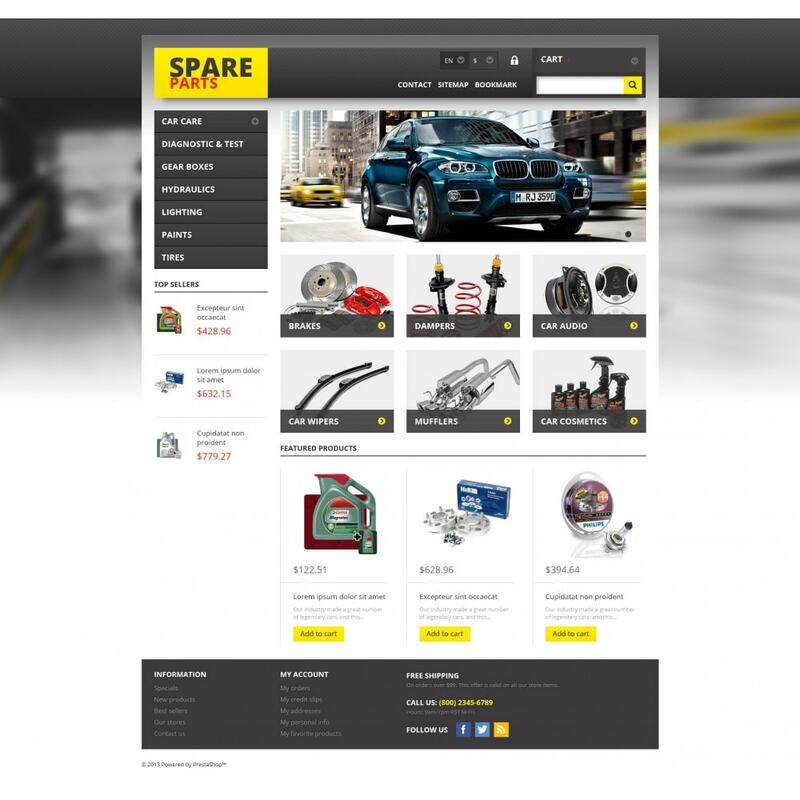 Elements on top of the page are textured which adds certain weight and volume to the design. 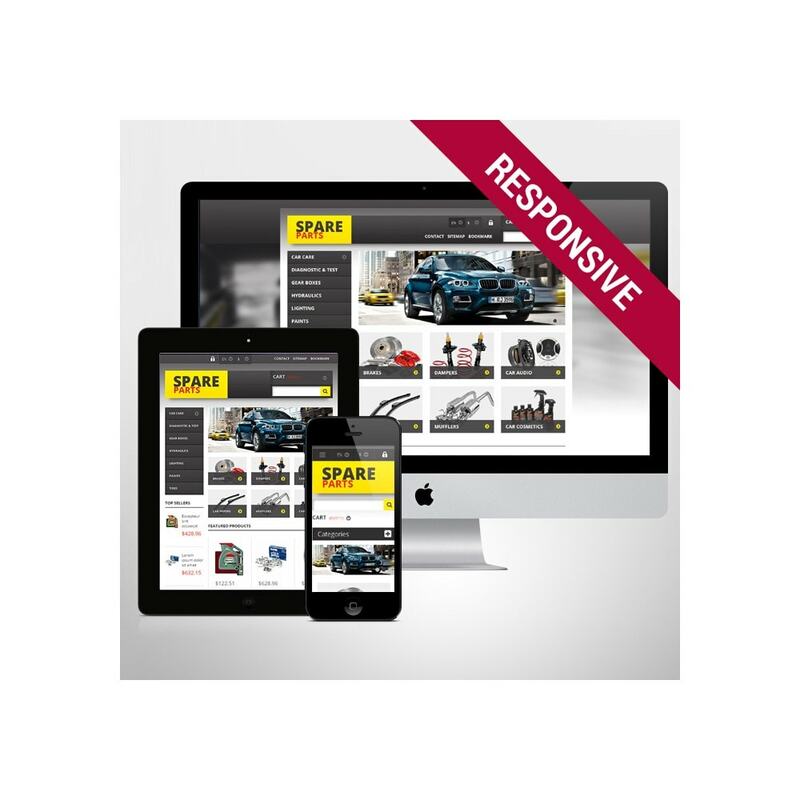 Slider displays luxury speed cars. 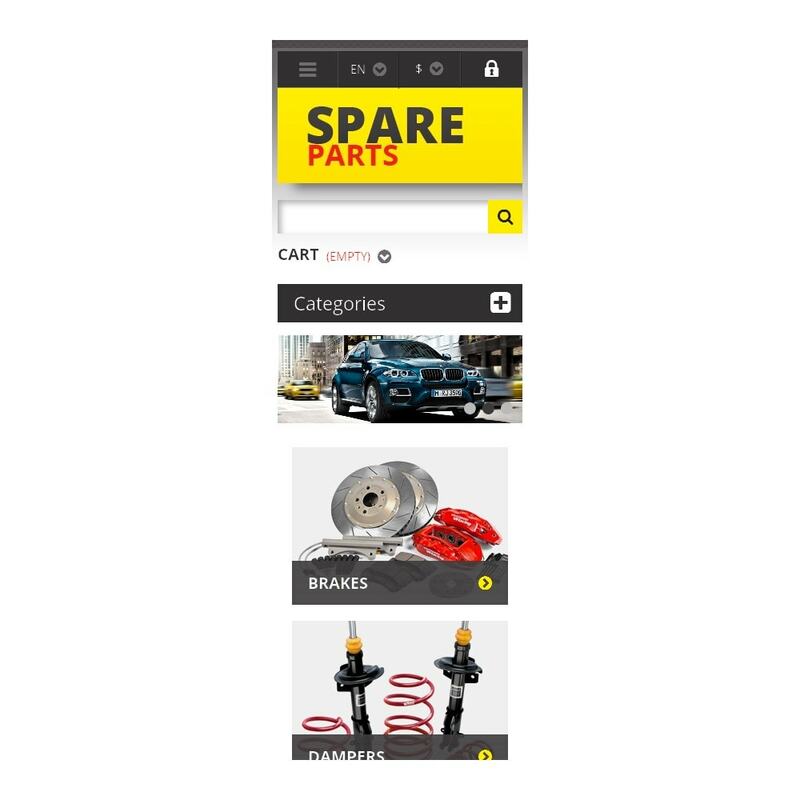 Banners and vertical sidebar navigation make the process of search simple and nderstandable. 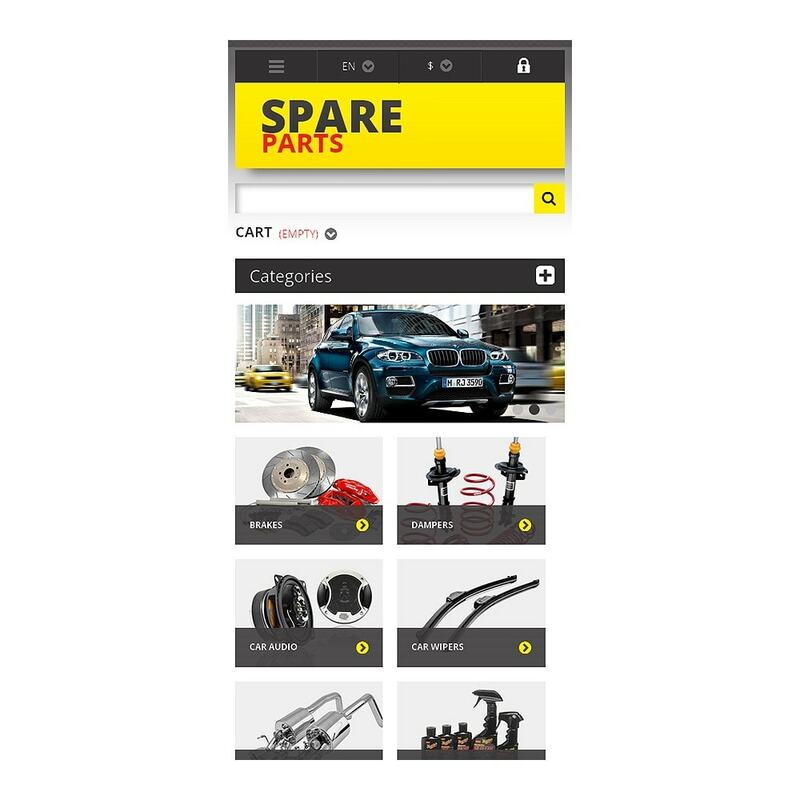 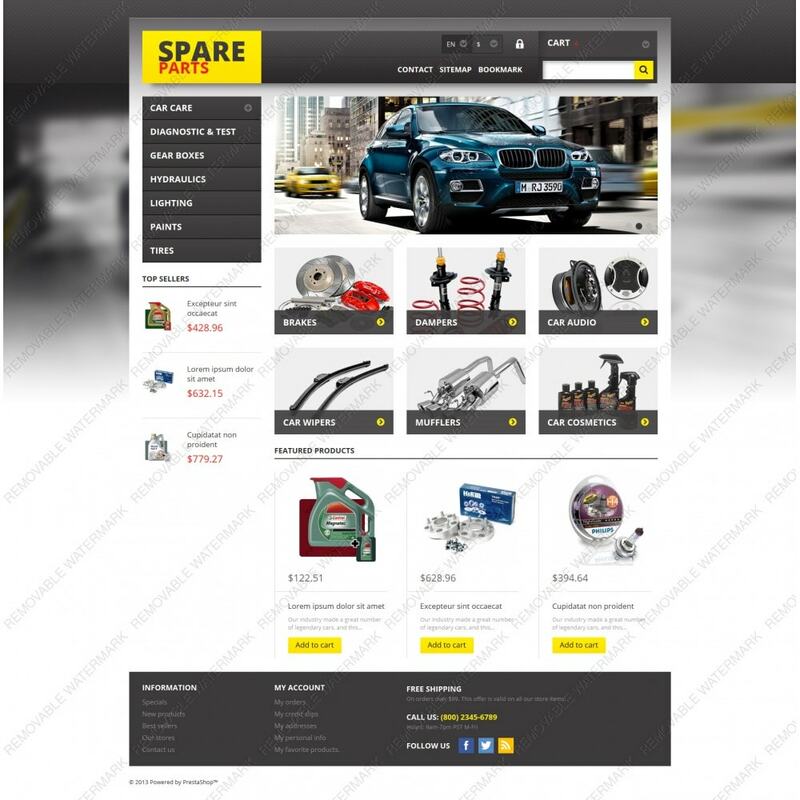 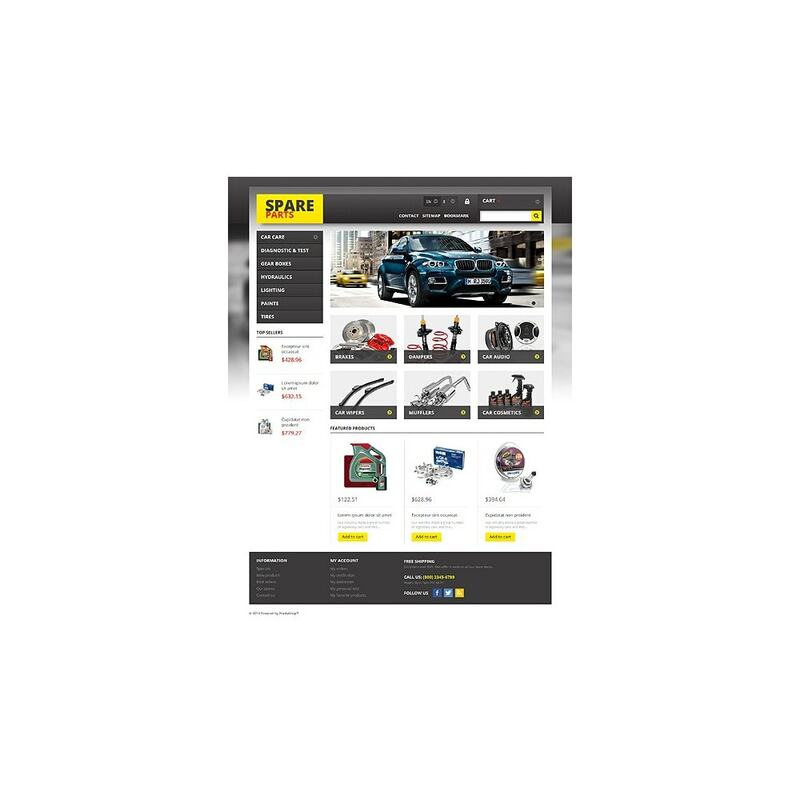 Use this template for your online car and bike spares stores.